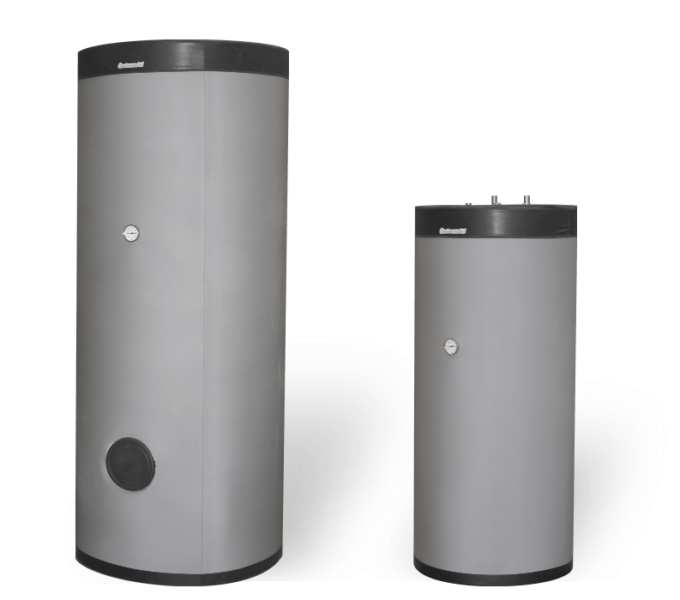 TB water heaters, with volumes of 120, to 800 litres, are engineered for both heating and the accumulation of domestic hot water with the connection to a boiler circuit or to another heat source, being part of a designed system configuration. Often they are connected to solar systems to give additional accumulation with STEB solar water heaters. These water heaters are made out of stainless steel, which guarantees a high level of hygiene. Extensive application of modern technologies and the use of high quality materials as well as their fully tested design and build, provides efficient heat exchange and negligible loss of temperature. Manufactured in accordance with ISO 9001 and ISO 14001. They are often incorporated with solar systems as an additional accumulation with STEB solar boilers. By using modern technologies and proven technical solutions, high heat transfer coefficients and negligible environmental losses are provided. The insulation layer of 80 mm thick effectively protects the boiler from heat losses. TB water heaters, with volumes of 120, 150, 200, 300, 600 and 800 litres, are engineered for both heating and the accumulation of domestic hot water, with the connection to the boiler circuit or to another heat source being part of a designed system configuration. Suitable for integration into solar heating systems for additional heat accumulation, with STEB solar water heaters. Made of high quality stainless steel, which guarantees high standards of hygiene. 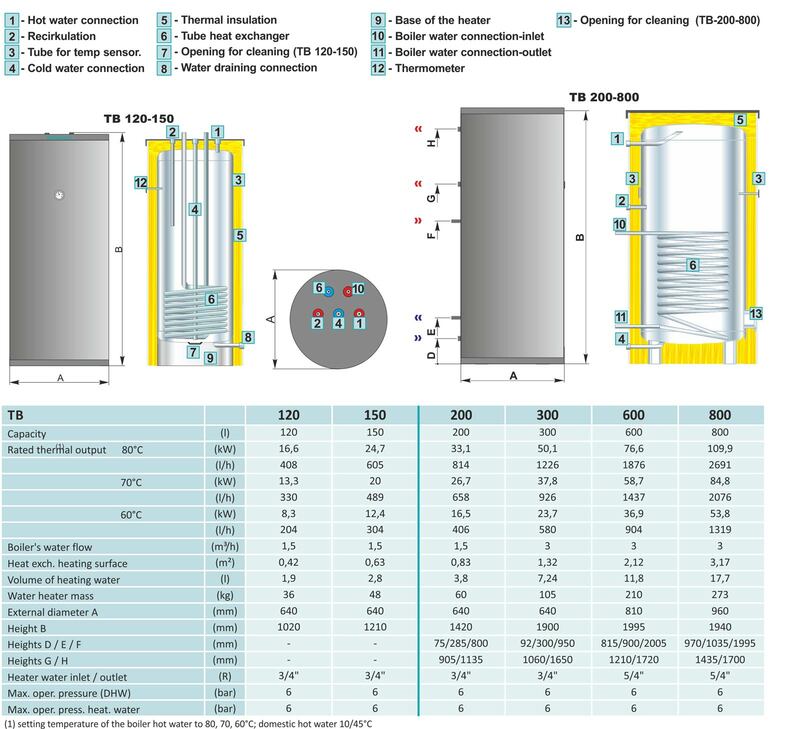 The big surface area of the tube heat exchanger allows rapid heating of these large volumes of water. On TB 120, 150 and 200 boilers , connections are located on the top of the boiler, whereas on TB 300, 600 and 800 boilers they are located at the rear which enables simple and fast connection into installations. It is possible to install a sensor into a sensor sleeve on the rear side of the boiler. The insulating layer, 80 mm thick, effectively protects the boiler from heat loss.